My Mission: to work proactively with clients to raise awareness of regulatory and reputational risks and to design systems and controls to mitigate those risks. Peter Haines Compliance Consultancy Ltd (PHCC), a recently established business, offers over 25 years' experience in regulation and compliance. 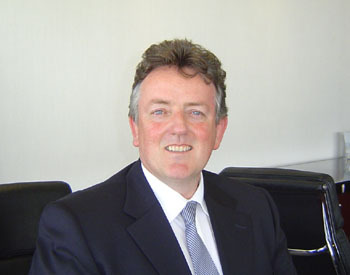 Peter Haines, Managing Director, is a chartered accountant with experience as a regulator with the London Stock Exchange, The Securities Association and the Securities and Futures Authority and as a senior Compliance Officer and Money Laundering Reporting Officer with blue-chip American, European and Japanese institutions. Haines has travelled widely in these roles and has gained experience in various US, European and Asian financial centres. He is now a non-executive director with a UK bank, chairing its audit and risk committees. Despite recent increases in regulation, it is far easier simply to make money in today's financial services industry than to make returns in a principled and disciplined way, designed to protect institutions, their clients, staff and shareholders. PHCC's aim is to work proactively with its clients to navigate through the regulatory environment and to protect all stakeholders from reputational and regulatory damage.